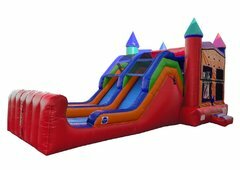 Water Slide Rentals | JustJumpAlot.com Virginia Beach, Chesapeake, Military Bases, Norfolk VA.
We have a great selection of water slides, including a 22 Foot Fire & Ice Slide! 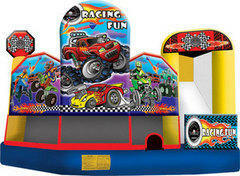 We deliver to your location and set up on time for your next event - Amazing a water fun in your backyard! 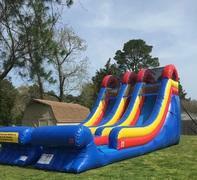 Our water slide rentals can be enjoyed by any child over the age of 3-years old. 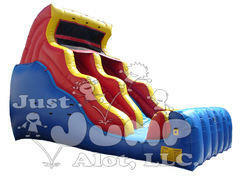 Our water slides are safe, commercial grade, and constructed to meet rental industry standards. 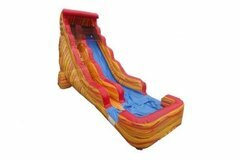 All of our waterslides and inflatables are cleaned with every use. 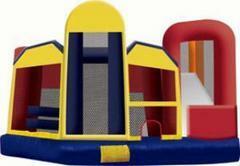 We deliver to Virginia Beach, Norfolk, Chesapeake, Hampton, Portsmouth and Suffolk. 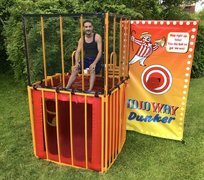 Electricity is required to operate Water Slides & Concessions. A water hose & water hook up is required onsite.